The judging panel will come together to go through shortlisted submissions and decide on the winner. We have chosen a judging panel of senior leaders who are invested in their workplace and also the wider LGBTI community. The Judging Panel will only judge the Corporate Category. All other consumer categories will be voted for online by the public. Anton Enus, a broadcast journalist with more than 34 years’ experience, has been presenting SBS World News bulletins since 1999. He began his career at the South African national broadcaster SABC as a radio news reporter before moving on to be a parliamentary reporter, current affairs producer, TV news reporter and TV presenter. 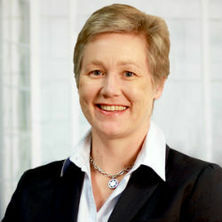 Sally Auld works for JP Morgan in the roles of Chief Economist and Head of Fixed Income and FX Strategy for Australia and New Zealand. Sally has worked in financial markets for 17 years and has been recognised for her market leading research. In 2016 the Australian Financial Review named her one of the Outstanding 50 LGBTI Executives in Australia. As well, she is a founding member of J.P. Morgan’s LGBT Executive Council. Providing recommendations and leadership across three pillars – the employee experience, legislative and public statements and business collaborations and developments. Sally is a senior sponsor of the local J.P. Morgan Pride Chapter in Australia/New Zealand, which has 30% of all local employees as members. More recently, she joined the scholarships committee for The Pinnacle ​Foundation. Paul is the Chair of the Pinnacle Foundation, a national not for profit that assists disadvantaged or marginalised LGBT+ youth by providing educational scholarships and mentoring. He is also the Chair of PwC’s Diversity and Inclusion Advisory Board, where he provides advice and leadership on the firm’s strategy. 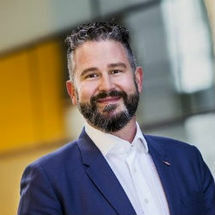 His role in numerous high profile LGBT+ campaigns includes fronting the Marriage Equality advertising brand campaign in 2015. Paul is the former CEO of David Jones Limited and is currently a Global Retail Advisor. 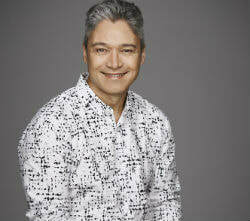 He has been a leading force in the Australian retail industry for over 35 years. Taimor Hazou is the Head of Corporate Affairs for Dow Chemical Australia and New Zealand; where he has responsibility for Dow’s government affairs, public policy, community relations, communications, brand, media management and public reputation. He has worked in consulting, government, the not for profit and private sectors and has qualifications in sociology and political science and public relations management. With extensive community leadership experience, he has been the Deputy Chair of the Australian Arabic Council and is an outspoken advocate for Palestinian Human Rights. 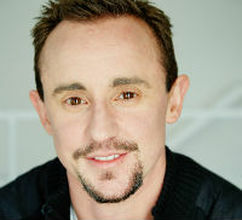 Andrew is a television personality, actor and documentary producer. Inspired by his early media appearances with Madison Magazine, 2DayFM, Channel 10's 'The Circle' and Channel 9’s 'The Today Show', his narrative brings real and interesting accounts from the complex nature of transgender life to mainstream audiences. He was the first transgender male to guest host and present news and current affairs on Ch. 10 Rove Enterprise’s Logie Award Winning News Program 'The Project'. He recently debuted in the Sydney Theatre Company Premier 'Still Point Turning - The Cate McGregor Story'. Following this he performed in the New Theatre's 'What The Butler Saw' interpretation which was accoladed specifically for its 21st century take on gender politics. He co-authored the novel 'Manifest - Transitional Wisdom on Male Privilege' and has presented on numerous and business diversity and arts organisation panels including 'Pride in Diversity' and 'Women Say Something'. 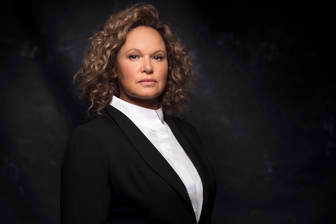 ​Leah Purcell is one of Australia’s most respected and admired Actor, Writer, Producer and Director. She is an AACTA, Helpmann, Deadly's, ADG, AWGIE, IF, Logie award winning and nominated artist for her outstanding work on iconic feature film and TV such as Lantana and Jindabyne, The Proposition and Last Cab to Darwin, Redfern Now and Cleverman, The Secret Daughter and Janet King. Leah’s actor, writer, director theatre credits include Box the Pony, Bran Nue Dae, Low, Black Chicks Talking, The Story of the Miracles at Cookie’s Table, Stuff Happens, The Marriage of Figaro, The Dark Room, Brothers Wreck and Radiance. Her latest work is the award winning The Drover’s Wife. This play written and starring Purcell swept all before it in 2017 winning the VIC and NSW Premiers Literary Awards for Best Play, Best Book, Prize for Literature; AWGIE Awards for Best Play, Major Work and the David Williamson Prize; 4 Helpmann Awards for Best Play, Script and the UNESCO City of Sydney Film Award. This all culminated in Leah being placed in the AFR Top 10 Power List for 2017 for Culture. She recently signed the publishing deal to deliver The Drover’s Wife novel in 2019 and will begin filming The Drover’s Wife feature film where she will write, direct and star to be delivered 2020. Leah is currently starring in Wentworth on FOXTEL’s Showtime. Leah is a proud Goa-Gunggari-Wakka Wakka Murri woman from QLD.